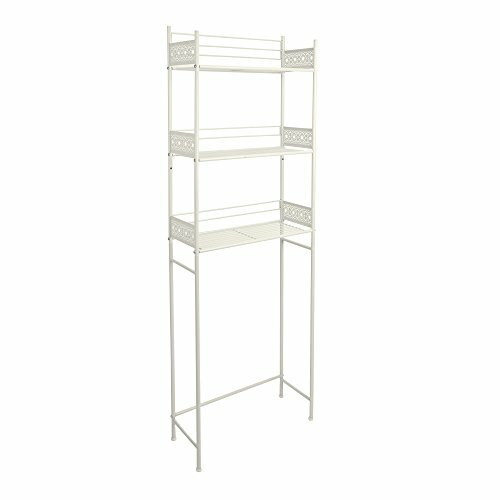 Maximize your bathroom storage with the Filigree Bathroom Spacesaver, Multiple Colors! This item is a stylish, space-creating addition that suits a wide-range of bathroom décor. Structural durability and 3 open-design shelves combine to create a sturdy, functional place to easily store your towels, toiletries, decorative pieces, and more! The filigree detail adds ornate metalwork to complete this item in a classic, traditional style. Multiple color options ensure that the Filigree Bathroom Spacesaver will fit seamlessly into your new or existing bathroom furniture!